Once you've seen the Venice Carnival, you may want to try some of the other events around the world. Here are some of the ones we've visited. 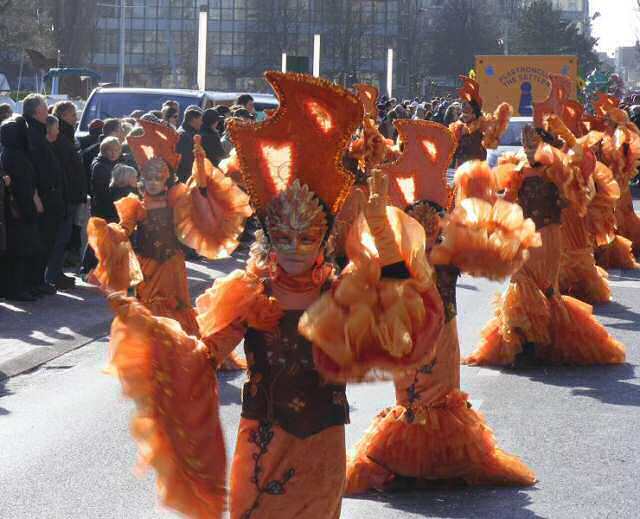 A weekend of festivities, including a big organised parade through the streets of Ostend. You'll find carnival floats, dancers, musicians, Chinese dragons, clogs on wheels (! ), and lots of other things to make you smile. This part of the carnival is a spectator-only event, unless you're in one of the local community groups that take part. The other highlight of the Ostend Carnival is the Dead Rat Ball at Casino Kurzal. Despite the name, it's nothing to do with rats and there's no gambling involved. It's an annual charity event that takes place in the casino's event hall and has a different costume theme each year. There's live entertainment, including competitions for the best costumes, and dancing until late. We'd suggest taking a costume with you, since there appear to be limited options to buy or rent locally (in comparison to Venice). You will definitely feel out of place in a costume that doesn't match the theme, although plenty of people seem to attend in normal evening wear; for example, evening dresses and formal shirts. Tickets for the ball can be bought online from the organisers, or from many Ostend hotels, but numbers are limited. The carnival parade is family-friendly, but the Dead Rat Ball is an evening event and so adults-only. 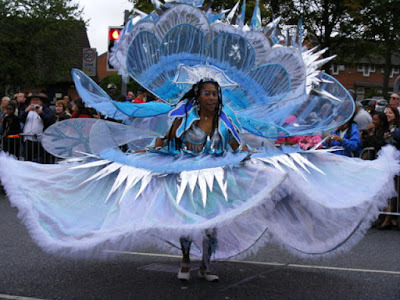 Most folks in the UK have heard of the famous Notting Hill Carnival, but not everyone knows about this one in the north of England. Again, it's pre-organised so little chance of taking part in costume unless you're one of the community groups involved. However, it is still worth a visit. The main event is a massive street parade of carnival floats and performers, both professional and amateur. The parade on it's own takes a good couple of hours to pass. There's also a programme of entertainment that goes from morning to late evening, and the daytime activities are family-friendly. A week of family-friendly fun, with lots of pirate-themed events in locations around the islands. The highlight of the week is a mock pirate invasion of the harbour in the capital, Georgetown, with the pirate ship arriving amidst firing canons and explosions. It's usually part of a whole day of events taking place in Georgetown. Pirate's Week may not be on the same scale as the Venice carnival, but it still attracts a huge number of spectators. Options for joining a pirate invasion are very limited, but accessories such as a pirate hat help to add to the fun of spectating. They're also a great conversation starter with other revellers. There are usually pop-up shops that sell pirate-related accessories and souvenirs. 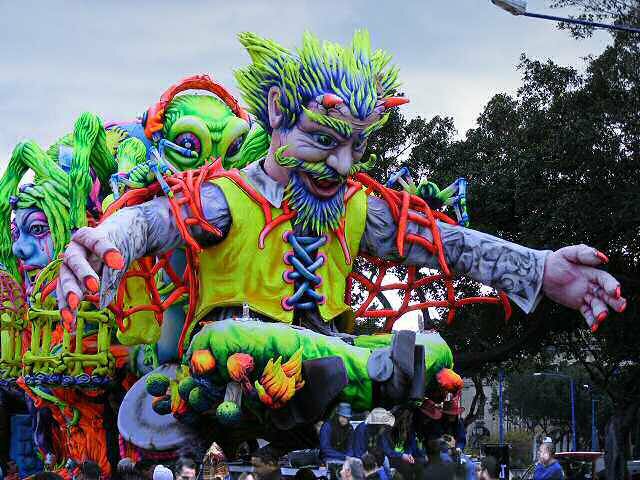 Another organised carnival parade, but this one is notable for its huge carnival floats depicting weird and wonderful characters in vivid colours. Since Malta is a small island in the Mediterranean Ocean, it makes you wonder how they keep these massive works of art under wraps until the day of the parade (look closely at the bottom of photo, and you'll see how tiny the people are in comparison). Pretty much everything in Valletta stops for the carnival parade. It's a spectator event (unless you have connections with the local community) but it usually attracts large crowds including families.